Super cheap flights to Azores: Ponta Delgada for €85! TUIfly now offers super cheap flights to Portuguese island Azores. Return flights from Dusseldorf to Ponta Delgada are available for only €85! Standard price for this destiantion is at least double so you are getting real bargain! 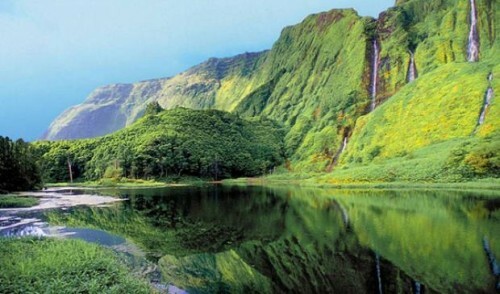 Azores offer beautiful unspoilt nature and ideal opportunity for trekking. Travel dates are at the beginning of 2015. Azores are quite cheap as they are technically part of Portugal. Check hotel deals to compare all accommodation options. The best option to discover the island is to rent a car because public transport is not working very well. Renting a car is cheap so check our comparison site to get best prices. « Cheap flights to Ibiza from Munich for €99!